Create group events and shifts, communicate with your team, and track activities - all in a friendly calendar-based interface. Volunteers are the lifeblood of any non-profit organization. 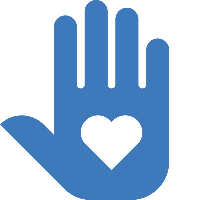 VolunteerBase.net makes it easy to share the love, and easy for Volunteers to share their time. Simply click on a calendar date, enter a description, and invite some volunteers. It's that easy. Volunteers can confirm just by clicking an emailed link, or join events directly from the calendar. Completely Free for organizations managing up to 25 volunteers. Really. Sign up now and get full access to all our features :-) If you need more than 25 volunteers, our premium and unlimited plans are easily within reach. Upgrade or cancel anytime. Volunteer hours are logged automatically. Detailed statistics let you clearly see who's doing what and for how long. Print or export directly to a spreadsheet. It's easy to communicate with any individual volunteer or group using customized email templates, or personalized messages. Volunteers are kept up to date with automated notices and reminders. We like to keep things easy. Use our service for free for up to 25 vounteers, no strings attached. If your organization's needs grow beyond that, you can upgrade or cancel at anytime. Easy. We take user feedback very seriously. With VolunteerBase, you are only a click away from connecting to a real person who wants to help. "Nice and easy for admin and our students." We use the system to help coordinate student volunteers. Mobile-friendly interface for registering for events, and makes it easy to communicate with users. "Easy to use, very user friendly." The user interface is great. Speed with which new suggestions is implemented is wonderful as well. Very cost effective for our non-profit. Support is fantastic - - personal coaching and guidance to help you get started, and very quick fixes to any issues or suggestions that we made. I'm a volunteer and I want to help! If you're looking to join an organization that uses our service, click below to find their site. Help me manage my organization! 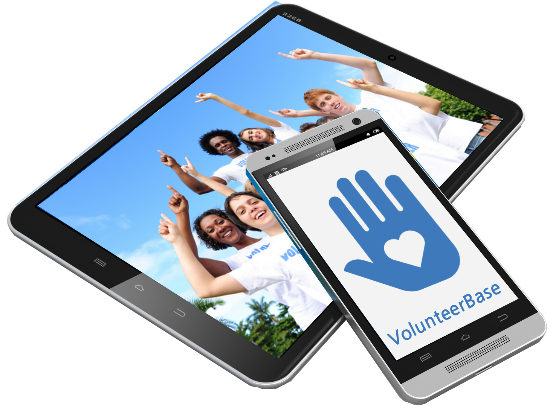 If you want help with your volunteering needs, click below to get started, or try out our demo. So you want to help? That's fantastic! Choose an organization below to sign-in, or learn more about their volunteer activities. You've got a team to manage, and we're here to help! Or create a FREE account for your Organization!